Peter Gladstone, Vice President of Marketing for the Jacksonville Symphony, and Creative Director David Bonner joined us Wednesday morning. If you were not able to join us, here are a few highlights from this great presentation. When Peter Gladstone came to Jacksonville, he was assigned the task of re-branding our symphony. This was no small undertaking. It would require bold steps. In hiring Peter, the symphony got a professional who knew much more about marketing than he did about music. 1. We’re different but who are we? 2. What is our vision? – What do we want the brand to be? 3. What do our constituents want from the brand? 4. What is the brand actually delivering? Peter then began to use words like “bold, re-imagine, accessible, and constant innovation”. A primary goal was to cause a “stirring of the soul” because that is what music does. The bold vision was to change and transform the world. Peter and David’s team started with coming up with a new logo for our symphony. They ended up with something more 3 dimensional, colorful, and an image that suggests movement and fluidity. Another important task was to create a new website that was more responsive, where people could buy tickets online easier, and had vivid color and photography to communicate the magic of the symphony to the site’s visitors. 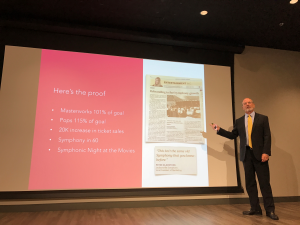 The symphony increased its press coverage and began utilizing social media more effectively to tell engaging stories about the music. Other key ingredients to complete this new branding initiative included: offering flexible subscription packages, youth initiatives, free concerts, and exciting new programming for people of all ages. 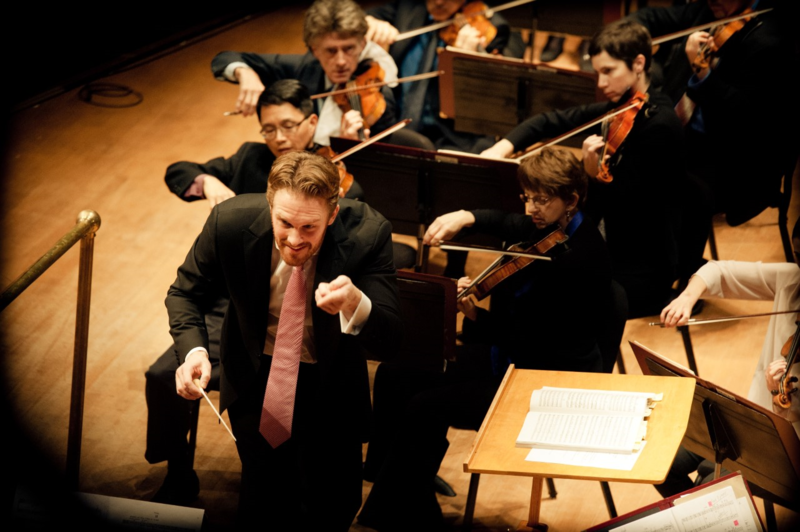 “We wanted to stir the soul of Jacksonville by reimagining what a symphony could be”. We think Peter, David, and their marketing team are off to a great start!